What comes to mind when you think about the kitchen of the future? Robotic servers? Automated cleanup? Sci-fi imagery aside, the kitchen is likely to keep its status as the household gathering space and hub for entertaining. But certain elements will trend toward personalization, and we’re likely to see both expanded and more specialized roles for appliances. 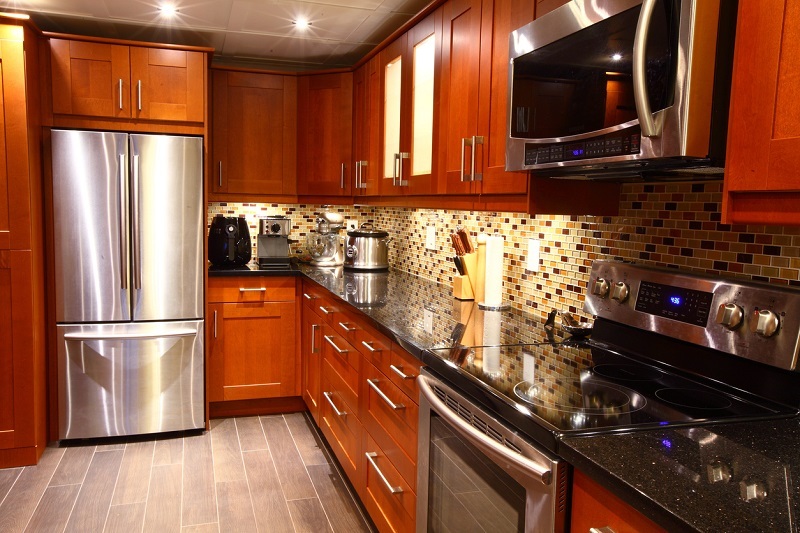 Space built-in for portables: Portable appliances that get heavy use are being built into kitchen designs. “Open shelving is a real trend right now as far as storage of portables,” Willis says. “It’s creating a more open look.” But storage and display of portables will remain dependent on the client’s needs and choice, she says. If you’re going for an open storage plan, Edwards recommends choosing appliances whose colors coordinate with your kitchen. Coffee stations: Coffee makers are beloved appliances in millions of kitchens. Now, some coffee lovers are expanding their devotion to the caffeinated beverage beyond a coffee maker into an all-encompassing coffee station. “We’re at a point where we’re seeing more coffee stations built in,” Willis says. What would you most like to see in your kitchen of the future? Share your future kitchen visions in the comments!